This Orlando Blush Pants is made from polyester. Featuring elastic waistband in the back, front pockets, front zip and button fastening. These pants make a perfect accent piece. 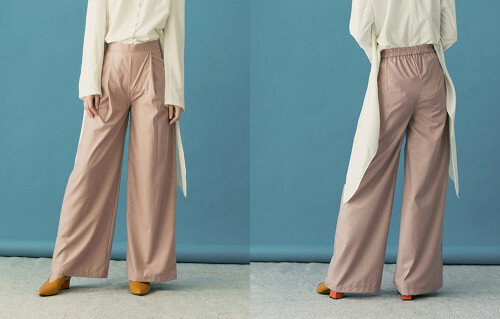 These pants will be able to help you get through your busy day with ease. Paired with Ellsa Blush Top or Elssa White Top.